Tyron has developed a range of solutions to keep wheeled vehicles moving safely in the event of a sudden tyre deflation. Created following extensive consultation with both users and tyre fitters, Tyron’s solutions have been extensively tested and proven in the harshest conditions. The company’s two product families are the Tyron All Terrain Rubber Runflat or ATR and the Tyron Multiband. In both cases these have been designed to allow for the changing of tyres without the need for specialist equipment. Tyron has developed and patented a multipart rubber runflat, suitable for fitting to a wide range of military and security force off road vehicles. Made out of rubber, the Tyron ATR absorbs the shocks from bumps more effectively than a hard composite solution and reduces the damage to both the wheel and the tyre, so that both have the potential of being re-used when repairs have been carried out. Using rubber also gives the passengers inside the vehicle a more comfortable ride in the case of a tyre burst, which enables them to be in better shape to carry out their task. The patented multi part design allows the fitter to change a tyre at the side of the road without special tools. Tyron’s rubber runflats are designed with beadlock, which prevents the wheel slipping inside the tyre, this allows the vehicle to continue on its mission and get back to base. This is not possible using other materials. Working together with Global Wheels of South Africa, Tyron is able to provide a complete wheel and tyre solution fit for the most demanding environments. These combine the strength of the bolt together with steel or aluminium wheels, along with the multipiece Tyron ATR to provide a very high level of road performance, which is not possible with a composite solution. Tyron’s ATR solution has been extensively tested in accordance with the internationally recognised Finabell standards for distance and speed. During all the tests the Tyron ATR far exceed the requirements. The ATR has been ballistically tested. Five shots were fired into the side of the runflat and two into the tread area from 50m with an AK47 using 7.62mm bullets and an M16 using 5.56mm rounds. Special effort was made to hit the fixings with one round making a direct hit on the fixing head, which ricocheted off and another hitting the washer and was absorbed. The other three simply passed through the rubber system. The two shots into the tread area around the fixings were absorbed and none of the shooting had any effect on the performance of the runflat system. The same test was also carried out at only 25m with the same results. In total, 35 rounds were fired at the runflat with no structural integrity damage. Developed by Avon Tyres in the 1970s for the Royal Ulster Constabulary, the Tyron Multiband is designed to keep the tyre firmly in place on the wheel, allowing the vehicle to be driven to a safe place to change the tyre. The Tyron Multiband is in use on a wide range of vehicles including police and fire vehicles, ambulances, and cash-in-transit vehicles. In all cases where Tyron Multibands are fitted, it is to ensure that the tyre stays in place in the event of a ‘blow out’ and ensures the driver can move the vehicle to safety. Tyron Runflat has established a new 43,000ft2 production facility in Thailand. Called Tyron Rubber and with its own management structure, the production line will enable the company to extend its current production capability for All Terrain Rubber runflat systems by 14,000 units per annum. Tyron, the originators of the well filler band, have designed and developed a unique rubber runflat system for military and off road vehicles. Wirus 4 LPU (Lekki Pojazd Uderzeniowy) is a new light high-mobility vehicle designed and manufactured by Team Concept, an armoured vehicle manufacturer based in Poland. 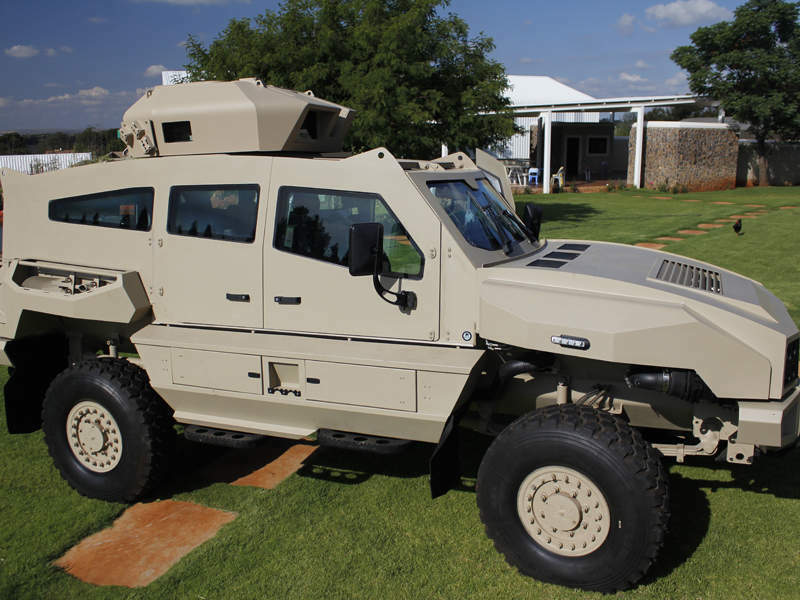 The Max armoured personnel carrier (APC) is the latest armoured vehicle offered by SVI Engineering, a luxury and armoured vehicle manufacturer based in South Africa. 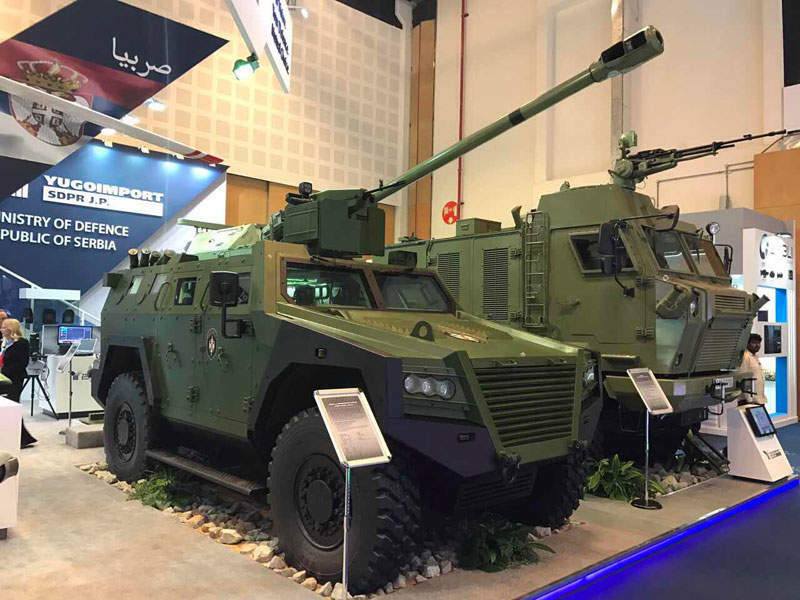 Milosh multi-purpose armoured vehicle manufactured by Serbian state-owned defence company, Yugoimport SDPR, was launched at the International Defence Exhibition and Conference (IDEX) held in Abu Dhabi, UAE, in February. 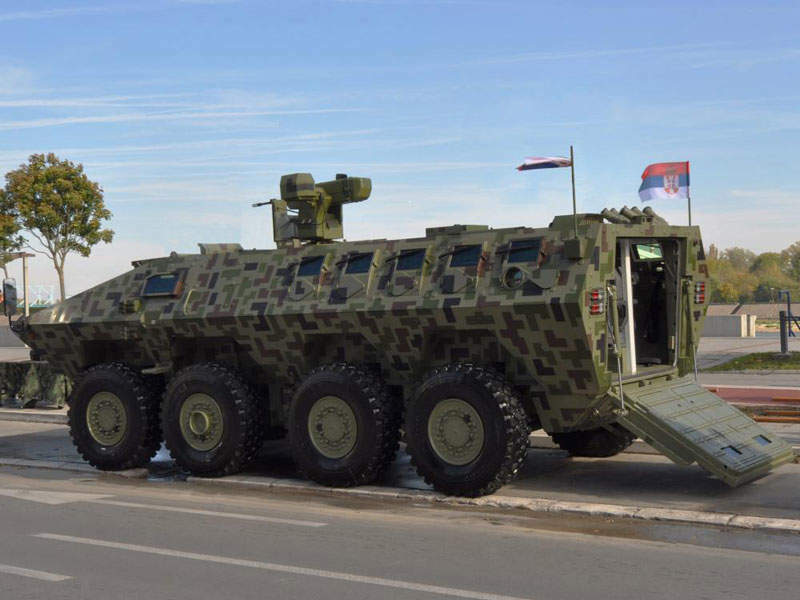 Lazar 3 is the latest addition to the Lazar family of 8x8 multi-purpose armoured fighting vehicles designed and manufactured by Serbian state-owned defence company Yugoimport SDPR. Tyron Runflat has acquired a 20% stake in a carbon fibre design and manufacturing company, Carbon ThreeSixty, Tyron announced at the start of Eurosatory 2018 on stand H300 in Hall 6. Stopping a tyre from slipping on a wheel, when it is at low pressure or flat, is critical if the vehicle is to remain mobile. Tyron, world leader in multi part all terrain rubber runflats, has increased its range to include a rubber system to lock the tyre to the wheel, which will be on display on stand N9-300 at DSEI 2017. A new lightweight carbon fibre rubber runflat has been launched today at IDEX on stand 07-C20. The new Tyron Carbon-ATR achieves up to 50% weight reduction. 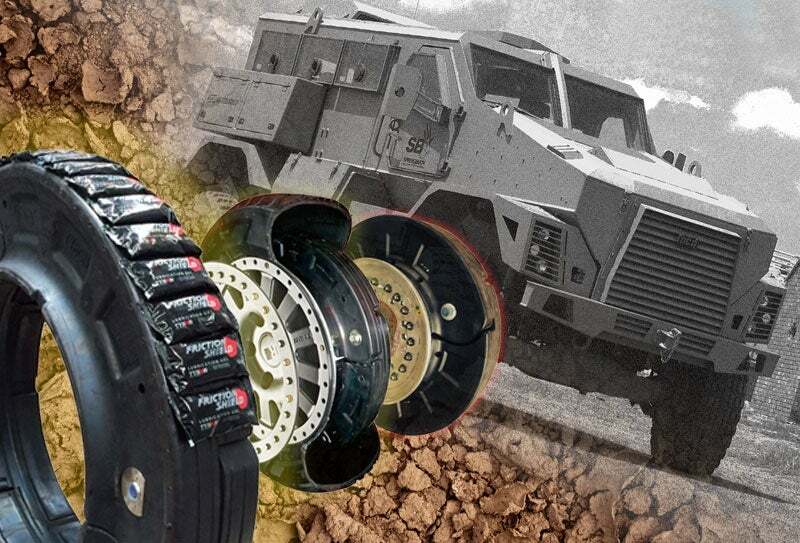 Runflats and wheels for off-road vehicles are on display at Africa Aerospace and Defence (AAD) being held at AFB Waterkloof, South Africa, from 14-18 September. 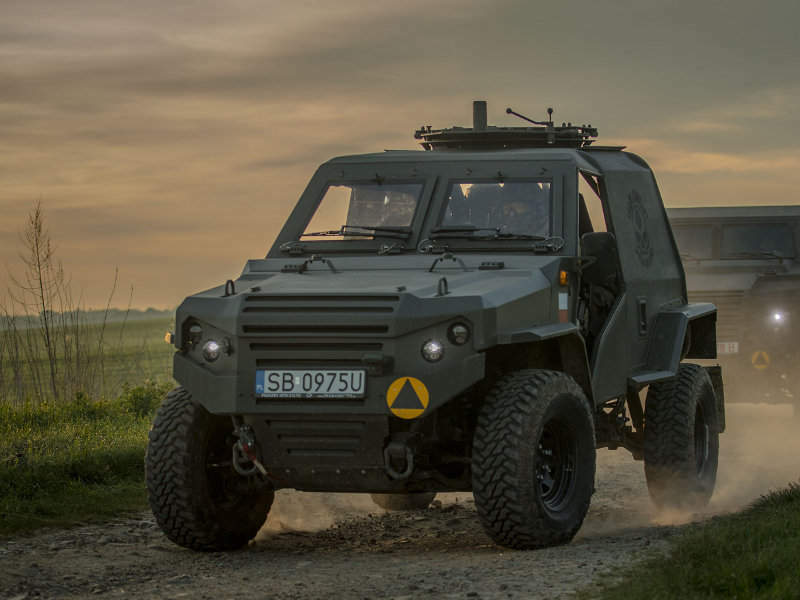 Yugoimports, the Serbian armoured vehicle company, has selected Tyron Runflats to supply all terrain, multipart rubber runflats for its latest 8x8 AFV, the Lazar. Provides DCD’s customers with proven reliable wheel solution.